Many of you are playing Alien: Isolation right about now, and maybe quite a few of you are enjoying it. 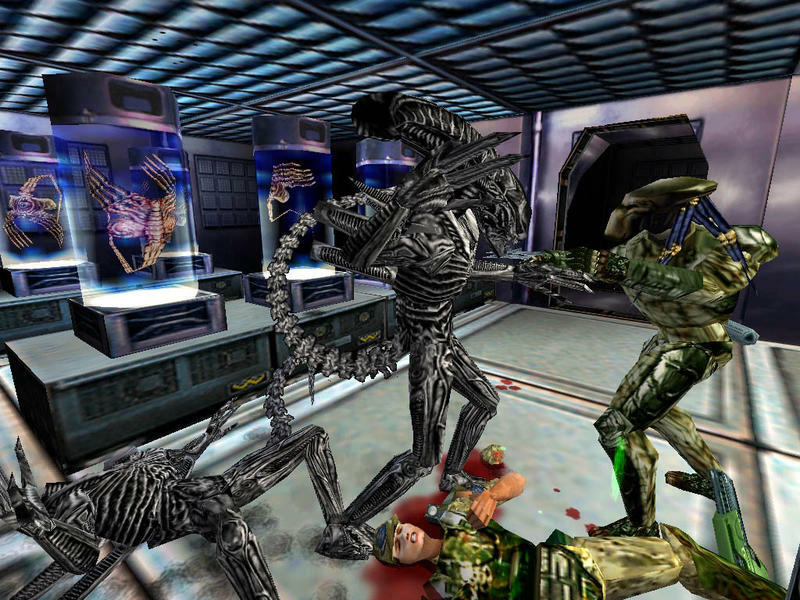 We all know the franchise has a speckled history of quality, but one entry in its legacy that certainly stands out more than others is Aliens Versus Predator from all the way back in the year 2000. It's not exactly technically up to snuff by today's standards, but it was widely lauded in its day for its graphics, gameplay, and, of course, frightening atmosphere. It's available for free today and today only on GOG.com. To get the game, all you have to do is sign up for the beta test of GOG.com. Just type in your email where asked, and you'll be sent a nice little invite and a code for the game, 100 percent DRM-free, just the way gamer friendly sites like GOG.com like it. You'll also be doing GOG.com a favor by helping it look for bugs in its new gaming client and by testing out the multiplayer servers using Aliens vs Predator 2000. I've never played the game, but I'm more than willing to believe those who sing high praises of it among the very best of the Aliens franchise. Again, not exactly high standards, unless its Capcom you're dealing with, but GOG has great eyes on old, forgotten talent, and it seems like it has found a popular cult hit with this one.